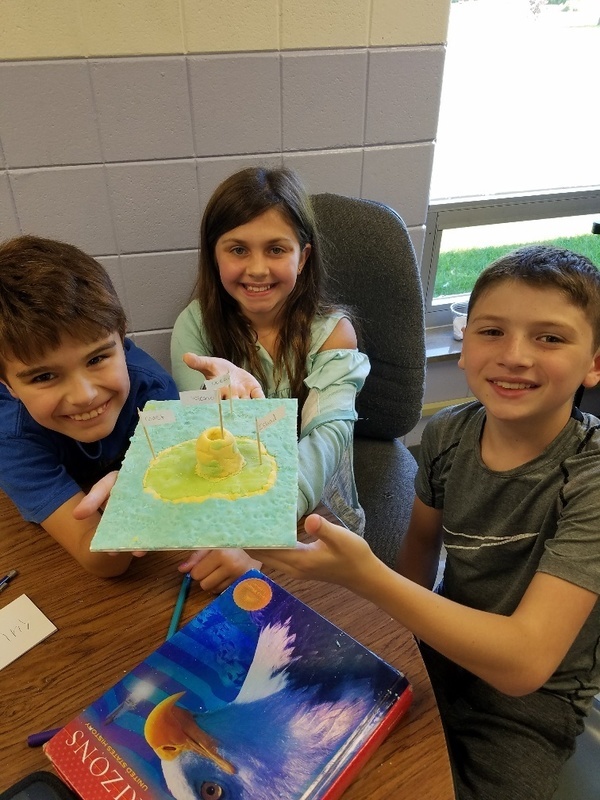 Mrs. Bergstrom & Mrs. Hoffman's classes studied landforms - a fun learning event in 5th grade. 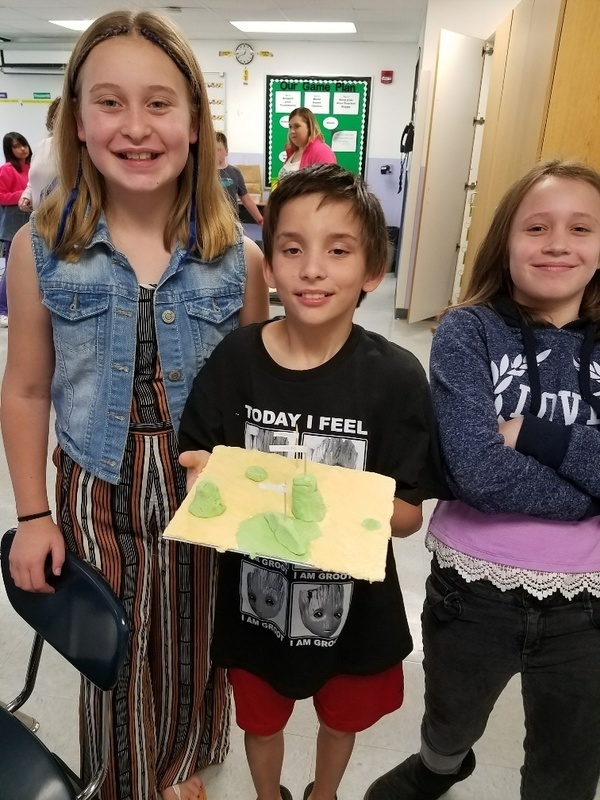 They used salt dough to form a scene with several different landforms in it. They used toothpicks with labels to point out where the feature was in their landscape. 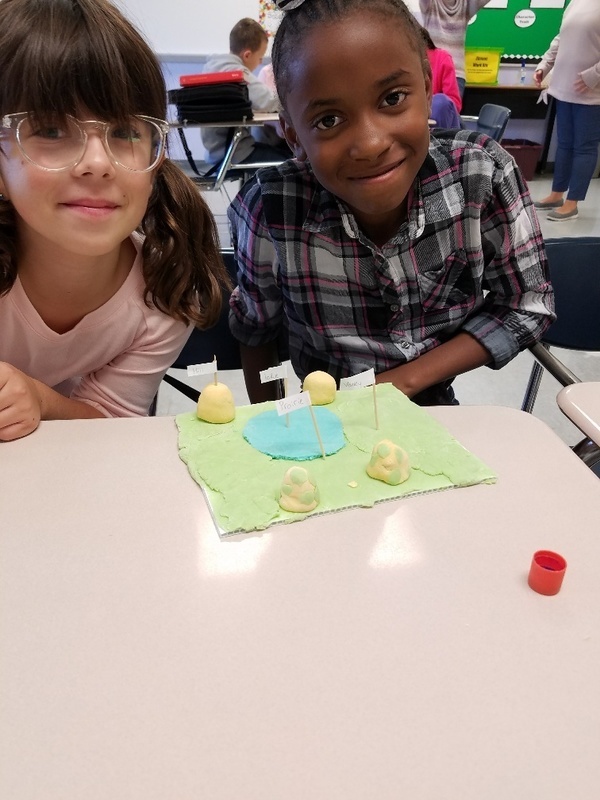 They made a mini book with each feature word and the definition to go with their diorama. 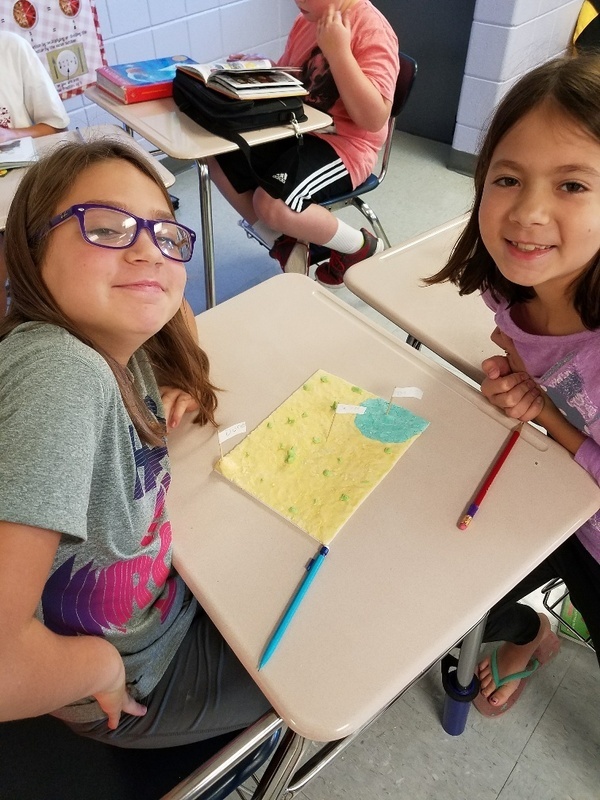 They were graded on the accuracy of their creation and how well they worked in their cooperative groups to complete the task. It was great to have some hands on materials to learn with! Thank you Mrs. Bergstrom for sharing! Thanks for the photos Mrs. Bergstrom!! !